At first glance this nylon blazer appears reasonably unexceptional. 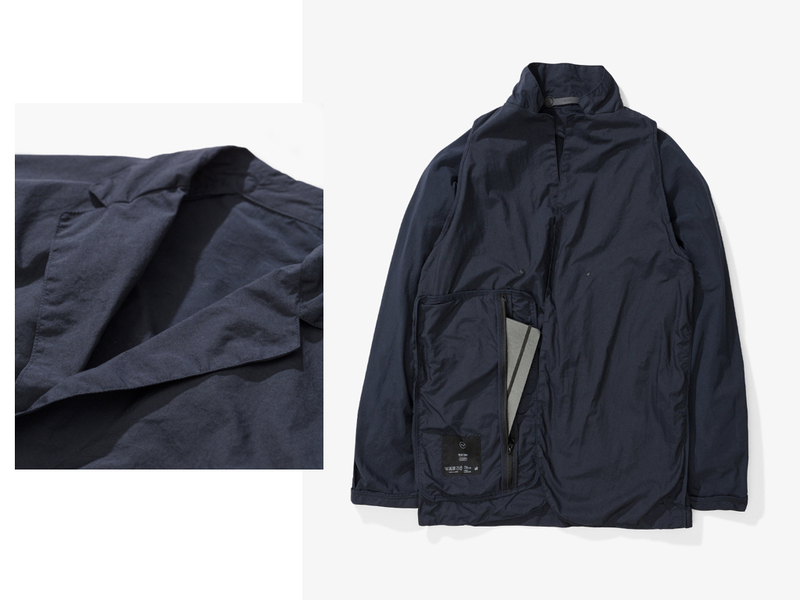 Navy, unstructured, a little rumpled; a wardrobe essential certainly, but hardly grandstanding. Look closer though and you’ll find the outward chastity belies some interior wildness. Inside it’s all about long tall storage. 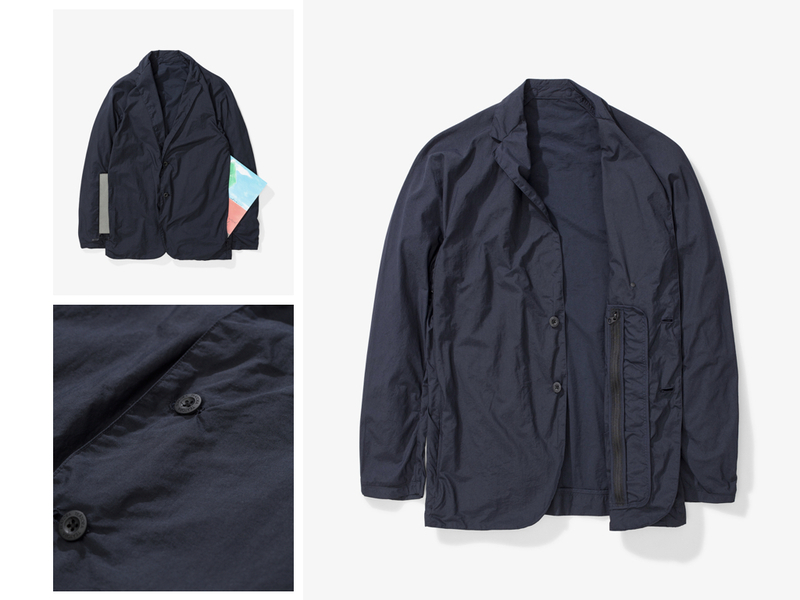 It’s realised specifically to provide pockets huge enough to handle stuff normal pockets can’t – I guess this would extend to towering travel wallets, note pads, probably a small tablet, perhaps a copy of Monocle magazine. Indeed, really, this is the archetypal Monocle Man jacket. Crease resistant, lightweight and simple enough to compliment Monocle Man’s throbbingly tasteful slim stone chinos, minimal sneakers and, perchance, the suggestion of a neckerchief. It’s also by a suitably obscure Japanese imprint, Teätora. They’re apparently all about, “workwear for modern creators“, a philosophy that totally chimes with the artisan via Don Draper ambitions of Mr Monocle. If this sounds like you, pick it up over at Norse Store and quickly slot the latest copy of Monocle inside your big pocket. At least you’ll never be caught short when you absolutely have to get the lowdown on Kuwaiti urban garden projects, or next generation Finnish corporate hospitality.